A French windmill and a postman on a dog cart! 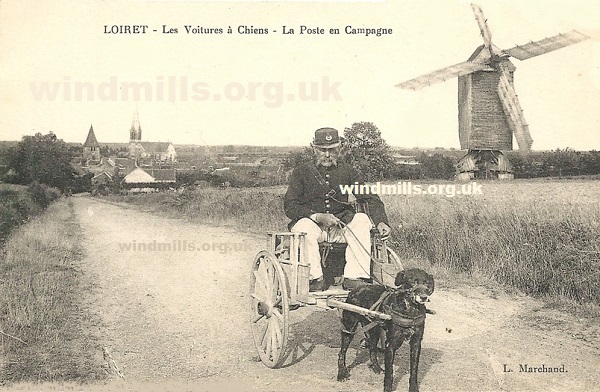 An old postcard featuring a mill in France and a postman being pulled along in a cart by a dog. More French windmills in old photographs and on old picture postcards. This entry was posted in Old Images, Uncategorized, Windmills and tagged dog cart, france, mill on September 19, 2012 by Tower Mill.